CARACAS - Former major league pitcher Geremi Gonzalez, who pitched for the Boston Red Sox in 2005, was killed yesterday by a lightning strike at a beach in his native Venezuela. He was 33. Mr. Gonzalez pitched for five major league teams from 1997 to 2006. The right-hander appeared in 131 games with 83 starts, compiling a 30-35 record. Signed as a free agent by the Red Sox, he won two games and lost one in 28 appearances, including three starts, in 2005. His best year was 1997, when he won 11 games for the Chicago Cubs. 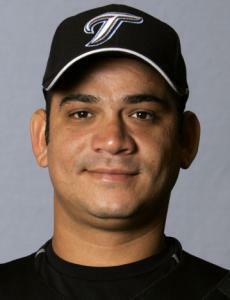 Mr. Gonzalez also played for the Tampa Bay Rays, New York Mets, and Milwaukee Brewers. He made a combined 24 appearances for the Mets and Brewers in his final major league season in 2006. "I heard about it. He'd take the ball every day," Red Sox manager Terry Francona said. Mr. Gonzalez played for current Cubs manager Lou Piniella in Tampa Bay and was on the mound when Sammy Sosa's corked bat exploded in a game at Wrigley Field on June 3, 2003. "That's a tragic thing," Piniella said. "He was a nice young man. He was a competitive kid, really good natured. It's a shame, it really is. I liked him a lot." Chicago White Sox manager Ozzie Guillen, a fellow Venezuelan, said before a game in Cleveland, "It's sad. He was a good man. . . . The news went around the country pretty fast." "He was so much fun to be around. He was always happy, always smiling. He was a guy that could scare real easy and then horse laugh. He was just one of those guys that when he saw you, he always had a smile on his face." The Toronto Blue Jays released him during spring training last year. Mr. Gonzalez moved to Japan and pitched in five games for the Yomiuri Giants.